I heard this many times when I excitedly spoke about our plan to spend almost two weeks in Sweden and Denmark. My boyfriend and I knew we were en-route to a pricey tourist destination and tried to do as much as we could – both before we left and when we arrived – to make sure we didn’t burn through our money too quickly. It can be a fine line between not missing out on things and having enough cash to see you through. Here’s some tips to make your dosh last as long as possible. Best of all, they don’t just apply to the stunning northern European cities of Copenhagen and Stockholm, where we spent the bulk of our time. Use them anywhere and you can go from affluent to affordable in a Scandinavian second. 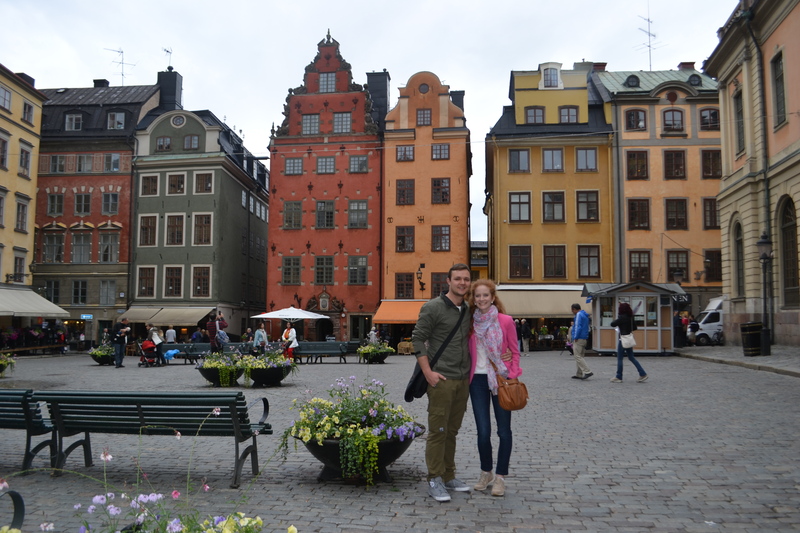 Callie and her boyfriend, Paul Bryson, exploring the colourful wonderland of Stockholm. Accommodation: The biggest cost is accommodation. 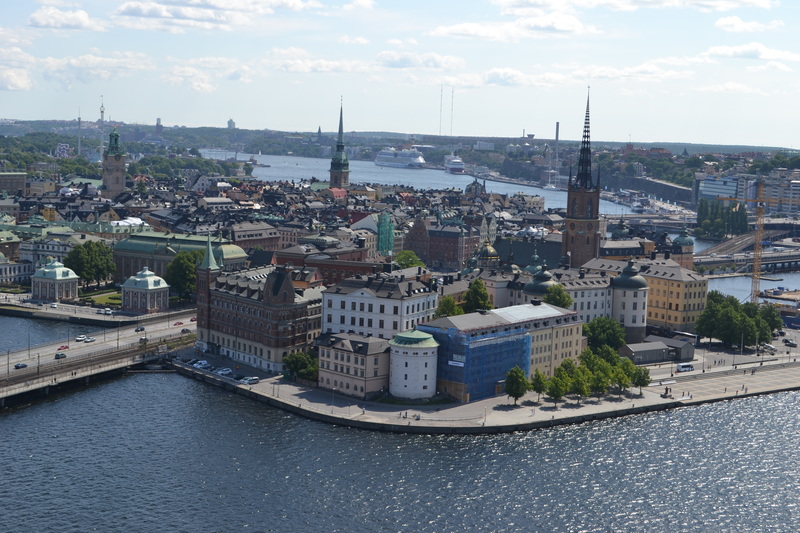 Hostels in both Copenhagen and Stockholm usually start at about $40AUS a night and you can expect to pay at least $65 a night for a basic hotel. We opted for a budget hotel in Stockholm that gave us the option of staying in a room with no windows. A window-less room was about $15 cheaper than those with a view. While worried the room might feel like a dungeon – as some reviewers on booking.com suggested – it proved anything but. It was clean and cool in the height of summer, plus we spent so little time in there that not having a window really didn’t matter. Also be wary of hostels/ hotels that include breakfast. The breakfast cost at one hotel we looked at was $18 a day. Go and find your own cheap options instead – yoghurt and fruit from the nearest Seven Eleven was one of my faves. Lunch: Try and have a big lunch and a lighter dinner where possible as meals served at lunchtime are often cheaper. Make use of the street vendors that offer tasty and low-cost grub. Hot dogs are sold from cute little vendors on almost every corner in Stockholm. I recommend you try the delicious French version. Transport: Take a bus instead of a train. We actually did this one to get from Brussels in Belgium to Zurich in Switzerland and it cost us $100 each – compared to the $300 or so it would have if we caught the train. We also had the advantage of taking an overnight option- meaning we didn’t have to pay for that night’s accommodation. They are slower and take longer, but travelling via bus can be worth it, wherever you are. 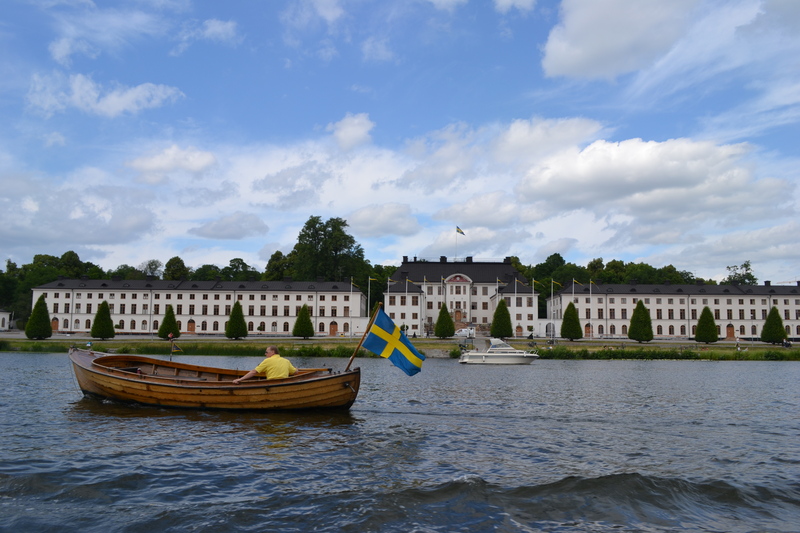 In Sweden, Swebus can take you to more than 100 destinations throughout the country for super competitive prices. Check out www.swebus.se for more information. Cocktail Hour: Buy duty free alcohol at the airport before you leave your country and use it for pre-drinks in your hotel room before a big night out. All you need to do when you arrive is buy some mixers and you’re all set. We didn’t personally do this, but some other Aussies we met up with did and it paid dividends. Alcohol is heavily taxed in Sweden (due to the Nordic Monopoly structure) and you’ll pay through the nose at clubs and pubs for wine and spirits especially. Shop ’til you drop – or not: Decide on what souvenirs you really need. On my first trip to Europe, a Contiki tour five years ago, I bought every piece of paraphernalia possible; magnets, key rings, snow domes, post cards, miniature statues, you name it. Most of it sits in my cluttered spare room. This time around, I stuck to a couple of things I really wanted. I settled on a couple of magnets and a nice book of Hans Christian Anderson’s much-loved fairytales from Copenhagen. If you’re travelling with friends, be honest. If something’s too expensive, tell them it’s out of your budget. If they’ve got their heart set on a museum that doesn’t interest you, go to a park or have a look in some shops for an hour or so instead. Lastly, don’t overlook places because they’ve got a reputation as being costly. Coming from Australia – an expensive place in itself- can prove an advantage. Not only is the Aussie dollar still going gangbusters, but we pay a lot for many services and products, from clothes to alcohol, and this helps lessen the blow. We’re used to shelling out for things! A luxe holiday need not be expensive. A Gamla Stan restaurant: Gamla Stan, which means Old Town in Swedish, is not only home to beautiful boutiques, a labyrinth of tiny alleyways and colourful buildings, but a huge number of top-class restaurants. They aren’t cheap – expect to pay at least $30 for a basic meal – but it’s well worth it at least once during your trip. For more on Copenhagen’s enchanted charm, see Hannah Silverman’s post, Happily Ever After in Carben-hagen.